Yay! It's Monday again. Time to chill out for a minute with this week's Monday Morsel of Lily & Justin Are Getting Married. The hall wasn’t drafty, but it wasn’t as warm as the kitchen where they usually congregated. As he knew she would, Faith shepherded them to the kitchen. Bright and welcoming in shades of pistachio, avocado, taupe, and yellow, the multi-tone blend bathed the heart of the Harper house in colour and warmth, invited hours of fun conversation around the breakfast table. Two pairs of eyes focused on Lily. Ken raised the champagne bottle, while handing Faith the flowers as Lily and Justin pulled out chairs and sat at the table. "Is this for a celebration? Or shall I put it in the fridge until we have something to celebrate?" "You can open it, Dad." Lily reached for Justin's hand across the table, closed icy fingers around his. For a woman claiming to be excited about their news, she certainly frowned a lot. "Well?" Faith unwrapped the flowers, stared over her shoulder as she blindly reached for one of the vases she kept in the cupboard beside the large fridge. "Are you going to tell us? Or keep us in suspense?" Lily glanced at him and ... hesitated? Julie tossed her head back and laughed. “I can totally imagine you on the slopes.” She made the swish-swish motion of a pretend skier. She withstood Julie's intense scrutiny for several seconds as she offloaded her paraphernalia from the bag. 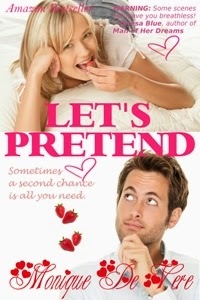 Thank you everyone who entered this weekend's Giveaway for the chance to win 1 of 2 Ebook copies of Let's Pretend. We have two winners! I have a Giveaway over at Sammie's Book Club this weekend! All you need to do to be in the running to win 1 of 2 ebook copies of Let's Pretend is enter the Rafflecopter Giveaway on Sammie's Book Club, for book lovers on Facebook. Click to ENTER. The Giveaway ends on Sunday night. I have a new Facebook Author Page! I can't begin to tell you guys the nightmare I've lived through the last three years. Praise God, all is perfect now and life is looking so bright for the future. If you've never had an extremely ill child, you can't know the awful, debilitating sadness it brings to your life. As a result, you can imagine how my writing career got shoved aside while I dealt with what I needed to, to ensure my little girl's full recovery. All is well, now, and I'm back to focusing on building my writing career. I've got a couple book out under consideration and, if you read this blog on a Monday, you'll know I'm currently working on a new book. I've created a Facebook Author Page, and I'd love it if you would pop over and 'Like' it. There you'll be kept up to date with my books, enter draws for FREEBIES, get autographed books and anything else I feel would be fun to do. It's Monday again and time for this week's Monday Morsel from Lily & Justin Are Getting Married, the sequel to More Than Friends. Thank you everyone who so kindly interacted with me last week! I heart Y you!!! Here is this week's morsel. Hope you enjoy it and please don't forget to say "hi" below. They were supposed to be getting ready to go out to dinner with the others. But as she’d grown to accept, Justin’s insatiable appetite for her made them late for everything. She and Justin were getting married and they’d have the exact wedding they wanted. She welcomed that both their mums would want to help plan the wedding. After all, she was her parents’ only child and Justin was a first-born. Of course, the mums would be excited about the nuptials. But ultimately the day belonged to Lily and Justin and they’d have their perfect day. A while back, this was a big discussion amongst many author groups. While many authors vary in their opinion and level of sheer gumption of how far they’re willing to travel down the road of dishonesty to sell their books, I think many are missing one simple fact. I don’t see the point of having my “friends” say something nice about my books just because I smile, say pretty please and they like me enough not to want to hurt my feelings. I’ve had one or two requests for reviews on books I really couldn’t bring myself to give. I consider myself an honest person and one who has a code of honour. I can’t in all honesty say wonderful things about a book when I just deleted it off my Kindle because it was a waste of valuable megabyte space. It’s all well and good to snag yourself a bucket load of 5* (star) reviews, but have you thought beyond the initial—My-book-has-a-trillion-5*-reviews? What happens once all the 5* reviews do the job you hoped they would, and increase book sales? What happens when real readers read your amazing can’t-dare-put-it-down-and-go-to-sleep book? Personally, I think every author is entitled to conduct his/her business as she sees fit. However, I would never go that route to obtain reviews because there’s one thing most authors forget—and this is the fact I mentioned above—you can fool SOME of the people SOME of the time, but you can't fool ALL of the people ALL of the time. But the public will then purchase, and read, your fantastic book on the strength of those reviews. Impartial, she reads your book and decides for herself if the reviews are true. If the book doesn't stand up to her preconceived expectations, she will do one of three things. 1. Give you an awful review, in which she warns other readers that the reviews aren’t true reflections of the book. (I've seen this several times). 2. Never purchase another book by the author. She feels betrayed and let down by the reviewers, the author, and the book. 3. Do both of the above, but make waves (troll) until she feels satisfied. This is only my opinion and a worst case scenario. I guess ultimately, the author needs to decide if her book is indeed fab enough to withstand the weight and expectations of all the 5* reviews. It's now been seven weeks since I emailed my partial of Sexiest Eye Candy To Lust After to Harlequin Mills & Boon. I was fine to wait the 24 weeks they advise, until someone mentioned that one of her friends heard back within seven weeks! You can imagine now I've hit the seven week mark, I've started writing my latest WIP with one eye on my Inbox. I keep telling myself it's unlikely I'd hear so soon. Why doesn't that assurance work?? On one hand, I like the wait because it gives me a chance to finish the two projects I'm working on, then possibly have a second finished MS for the KISS line by the time I hear back on the partial of Sexiest Eye Candy. The flip side is that I'd love to hear quickly so I haven't got a polished MS sitting on my hard drive collecting cyber dust-bunnies. You would think the pressure of getting out two new MSs would keep me too busy to Inbox watch, wouldn't you? I'm a seasoned Inbox Watcher, me. Day and night my email Inbox is on full stalk alert. And the great thing is the new Yahoo email auto-refresh so I don't have to waste time doing the job. I'd like to say I'm not chewing my nails and drinking way too much tea, but sadly that is the place I'm at. I'll let you know the outcome of my sub as soon as I know. It's Monday again and time for this week's Monday Morsel of Lily & Justin Are Getting Married. Thank you everyone who so kindly interacted with me last week and for all the birthday well wishes--here, privately and on Face Book. I treasure your support. He removed the engagement ring from its nest, held it out to Lily who offered him her left hand. He took her trembling hand in his steady grasp and positioned the ring at the tip of her third finger. Lily held her breath, heard Mel’s low murmur of awe. And just as the ring approached her second knuckle a snowboarder whisked past them, spewing a tidal wave of snow over Lily and Justin. “Watch it!” Cam shouted after the snowboarder who was too far away to notice, or care, that he’d just ruined Justin’s proposal. All the while Justin stared at Lily open-mouthed. When Lily got over the initial shock, she gasped. The sudden arc of snow pelting over them had jolted her and she’d knocked the ring out of Justin’s hand. It was now somewhere in the snow between them. “Don’t anyone move!” She hardly dared to breathe in case it somehow buried the ring further into the snow. I agree with Gordon wholeheartedly. While we as readers enjoy reading about people we like to feel something. It is the author’s job to fulfill that longing in his/her reader. Character emotion does not equate to reader emotion. If a character laughs in a novel I’m reading, it doesn’t make me laugh. It simply points to the fact that the character finds something funny. However, if the character does something that tickles me, I’ll be sure to giggle. If you are relatively new to writing you might be wondering how do we, as writers, engage our readers emotionally? I would say visceral reactions are the answer. Surprise your reader. Make her curious, get her involved enough to become interested in what will happen next. Encourage her to anticipate what the character’s subsequent action might be. Get her excited, make her fear the worse, ramp up the tension, make her laugh, amuse her, make her empathize with your characters, fascinate her, intrigue her, give her hope and make her care. But most of all entertain her! You do that, and chances are she won’t be able to put down your book. She might even find it unforgettable. It is not enough to hope that by making your character laugh, cry, get mad, that your reader would experience the same emotion. Because your character is scared doesn’t make the reader scared. To draw the reader’s reaction we must tug at their visceral emotions. Visceral emotions are the emotions/feelings you wish your reader to experience while reading your story. The ones you experience when reading a good book. The ones I mentioned above. Ernest Hemingway said something that many new writers don’t realise. 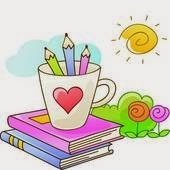 “When you have learned to write for the reader, it’s no longer easy to write.”~Ernest Hemingway. As a teen, I remember when I first started writing, I found it so easy to bash out a story. I had nothing to consider except my own entertainment. Writing seemed effortless and I fell in love with everything I wrote. Then the rejections started flooding in and I soon learned the fundamentals of creating a story. All the rules, techniques, and craft of storytelling. Then it wasn’t so easy to dash off a story anymore. I now had to consider the reader. Examine every word and scene to ensure it comes over smoothly for my reader. That she might experience emotion and entertainment when she reads my book. Give your characters compelling conflicts, make them change and grow. Use subtext, set up and reveal, back-story (filtered in, not info dumped J), give your characters traits, flaws, motivations, wounds and goals. This biz is about delivering emotion and woe to us who forget that fact! Here is your mission should you wish to accept it: evoke strong, vivid emotions in your readers! Take them on a roller-coaster ride of emotional ups-and-downs, the pull/push of tension and release. In other words, give her a memorable experience! So I promised my readers a weekly morsel of Lily & Justin Are Getting Married, starting on my birthday--TODAY! Yay!! Each Monday, I shall give a morsel of the story as I go along. I hope you enjoy glimpses of Lily & Justin's follow-up story. We first met the couple in More Than Friends. Now we're revisiting them to see what happens next. I'd really love to interact with you, so please let me know what you think of each Monday's Morsel in the comments section below. Please don't leave without at least saying hello :). Life with Justin Knight is fantastic. Lily Harper couldn’t have chosen a more wonderful man. He’s attentive, charming, and successful, and he loves her as much as she loves him. He even proposes on a ski slope in the French Alps. Nothing about their wedding plans is as Lily imagined. For starters, she hasn’t factored in the possibility of Justin’s mother hijacking the wedding, or Justin’s former girlfriend turning up to make a play for him. Soon, everything Lily holds dear starts to unravel and her old insecurities and doubts return to plague her. Justin can’t believe his luck in finding a woman like Lily, or that he got her to agree to marry him. Things couldn’t be more ideal...until the wedding plans begin, and he discovers a secret that could change everything. There was nothing ladylike about the tumble Lily Harper took. Perhaps if she’d listened to Justin’s instructions, rather than gawp at him like a love-struck snow bunny, she would now have the skills she needed to control her skis on the slope without pitching headfirst down the snow-covered hill. It wasn’t her life that flashed before her eyes, as she plummeted down the Alpine ski slope, it was her romance with Justin. Theirs had started with complications. When they first met, Justin had been dating her best friend, and she’d been in a relationship, too, yet it hadn’t stopped the spark of attraction between them. An attraction they’d both ignored until the night they were single and she’d gotten drunk, catch a cab to his swanky apartment, and offered to bop him on the nose for dumping her friend. Do come back for the next Monday Morsel instalment.